I'm someone who is ALWAYS down for a road trip. I love stopping along the way, trying food that can only be discovered on a long drive, and just shooting photos (plus unplugging...hello!). So naturally, when Autograph Collection Hotels said they had a local road trip on the docket, I couldn't miss it! 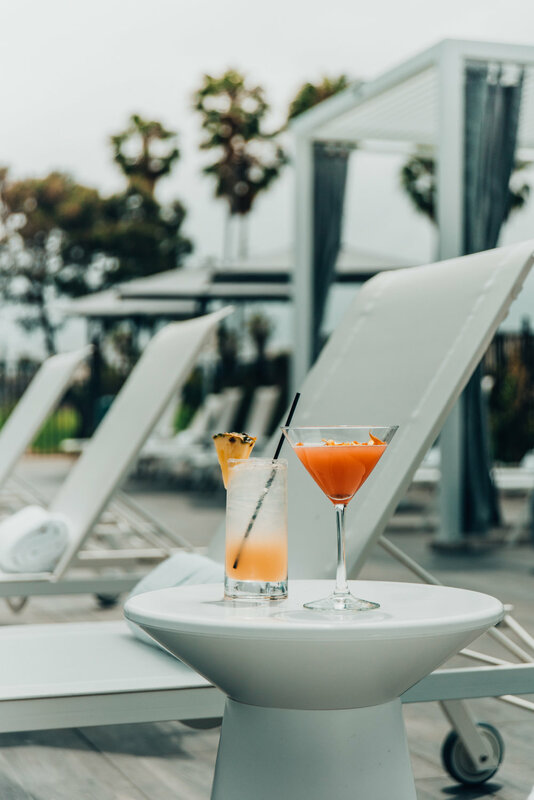 This road trip started at the brand new Lido House in Newport Beach, then south to Hotel Republic in San Diego, and ending in Manhattan Beach at Westdrift. It was definitely one for the books so I thought it would be fun to put together a travel diary of the trip! First up, Lido House. Can we take a moment of silence to reflect on this perfect slice of paradise? Okay, cool because this is my new favorite hotel. When you walk in, the space instantly smells like the beach with a slice of tangerine (salt air included). This hotel is not only brand new but beautiful inside and out. It truly echoes every charming thing about Newport Beach. In addition to cozy guest rooms, Lido House has five cottages all designed by local artists. Each one is different but mine in particular had an elevator (you read that right) and this insane private rooftop. 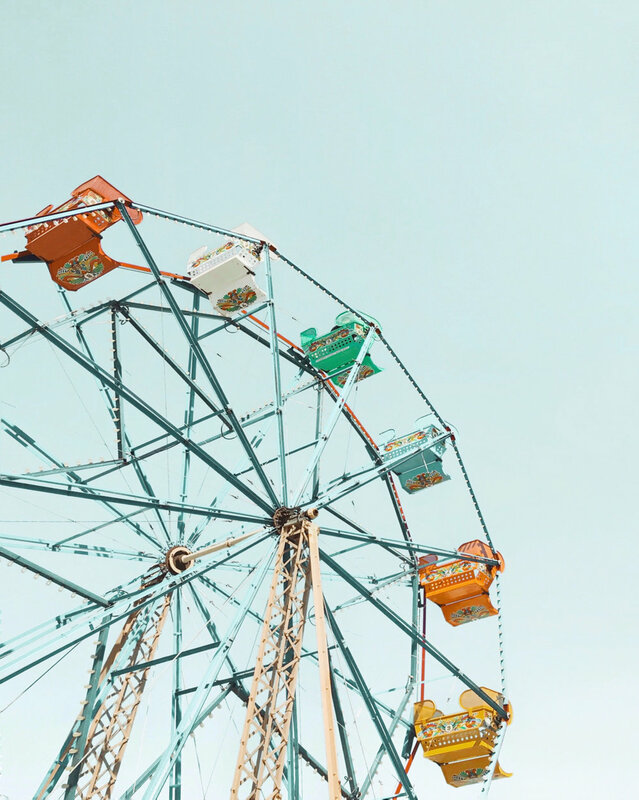 On the second day, we got to explore (hello ferris wheels of my color DREAMS). This area is the definition of cute and I highly reccomend renting a Duffy boat to take out for a cruise around the harbor. Topside at Lido House could very well be my second home soon. 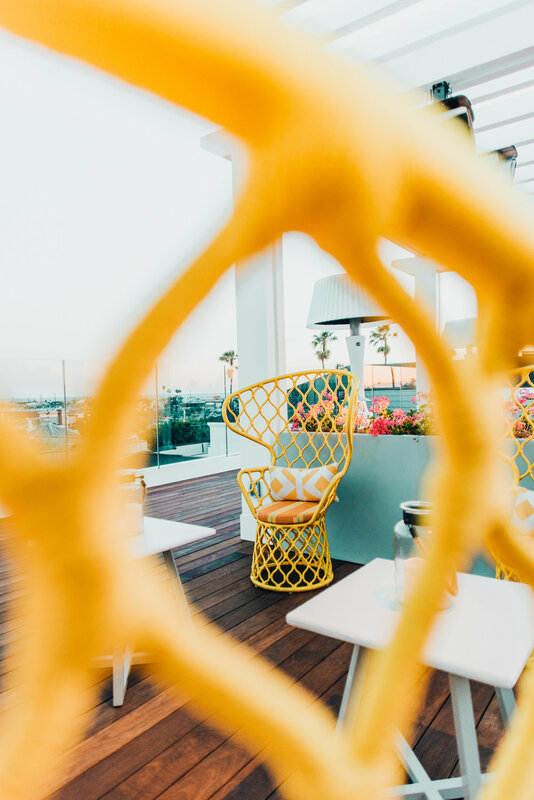 Every detail is so warm and bold (the yellow chairs spoke to me, obviously). and there's multiple views to take in while you enjoy a cocktail from the bar. This is in fact my dream scenario...just so we're clear. The next day we headed south to San Diego! 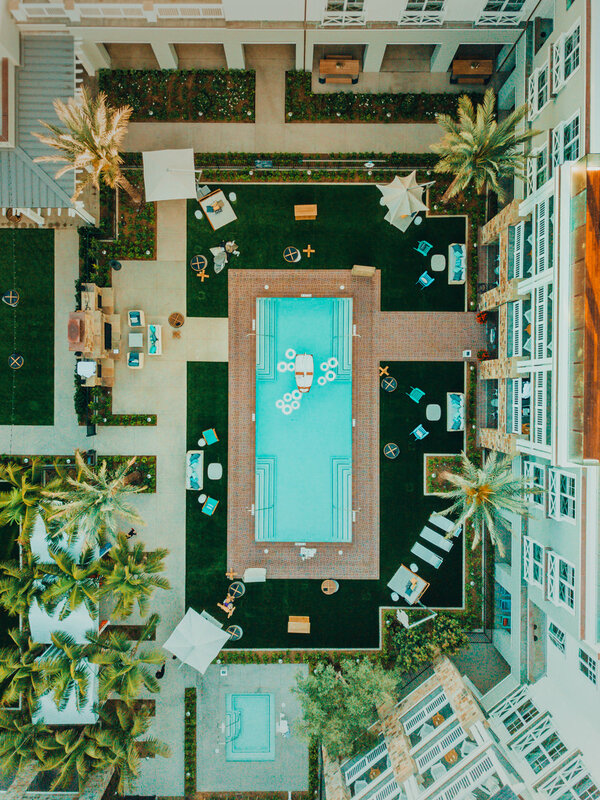 We checked into Hotel Republic (my first time!) and it was so relaxing. My corner room had a view and the coziest bed EVER. I was horizontal approximately 50% of the time. JK but I totally could have been. 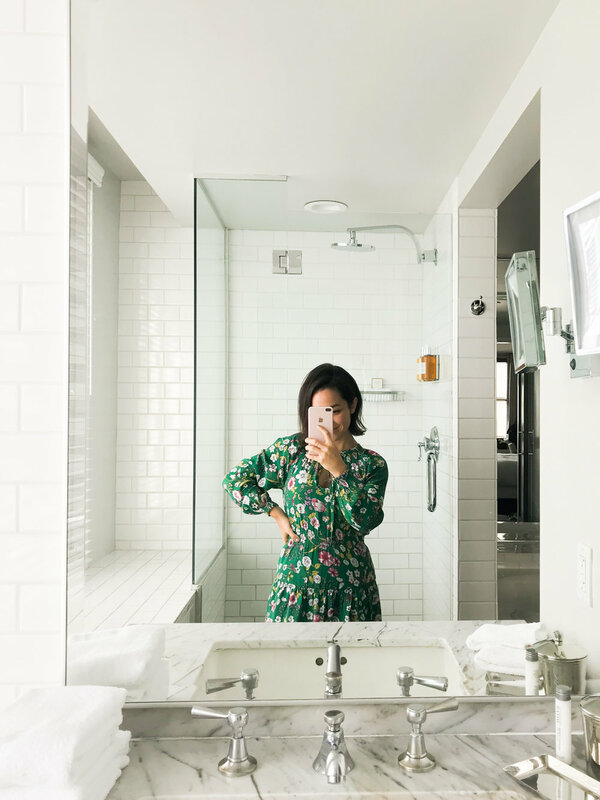 Behold: The prettiest bathroom and my Mother Goose dress. After settling in, we had enjoyed our first course at Topside. I am 100% obsessed with rooftop bars in downtown areas. This one was so on point AND we got to meet there for yoga the next morning. WIN-WIN. Cute bike alert. I loved this service because the hotel is surrounded by so many fun neighborhoods and super close to the water. We rode around before we had to leave for our final stop: Westdrift in Manhattan Beach! Please note: I got In-n-Out on the way up because it's not a road trip if you don't stop there. Just saying! Oh, sweet Westdrift. They had snacks and freshly mixed batch of decanted manhattans waiting for me in my room (BLESSED). You know how I feel about a good whiskey drink. Speaking of cocktails, they were all SO good. Bonus points for testing them out poolside. I instantly became best friends with this lobby. It's an open concept with plenty of lounges and access to the back patio. Also, blue and deep orange are my love language. Another cozy bed made its way into my life that night. On the last day, we drove up Highway 1 with Pearl (a 1967 Cadillac DeVille). She was feisty but pulled through! It was so fun exploring an area so close to home. It's truly wild how far away I felt! This trip was everything and looking back through these photos has me missing every minute! A huge thank you to Autograph for inviting me on this road trip to experience these fresh places so close to home. They became new favorites and I can't wait to go back!